Born in Old Walsingham, Norfolk. Studying sculpture in 1911. In the 1920s and 1930s, Agatha executed a series of small figurines of actors and actresses in successful London stage productions. They were made of plaster which was coated in a thin layer of wax and then coloured. In 1931 the Fine Art Society held an exhibition of these figurines and there are about 20 examples in the collection of the Victoria and Albert Museum. A larger collection consisting of at least 50 figures, mainly in plaster with some wax, of theatrical, religious and royal subjects (Queen Mary), several plaques related to religious material and an archive have been acquired by Dorset Natural History and Archaeological Society. The collection is located at the Dorset County Museum. She obviously inherited artistic talent from her grandmother, Emma EVANS. 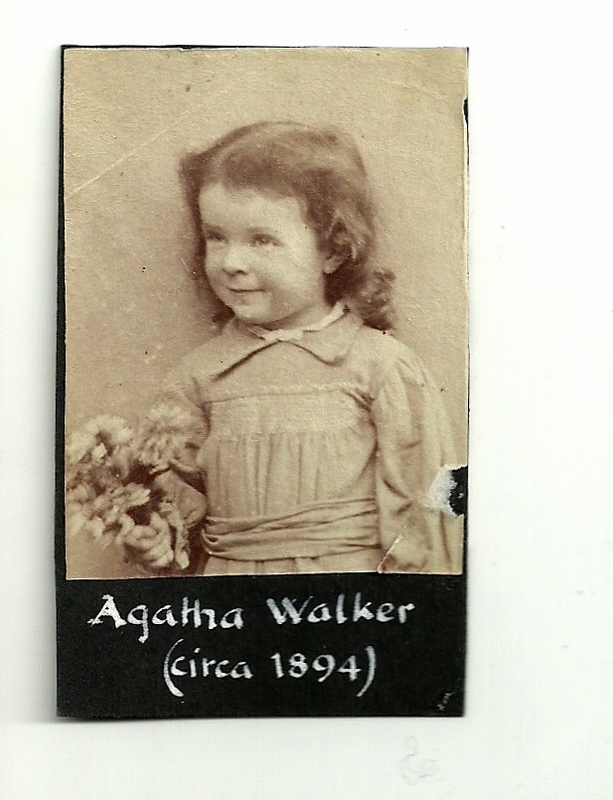 Never really know of Agatha until I started my family researches.